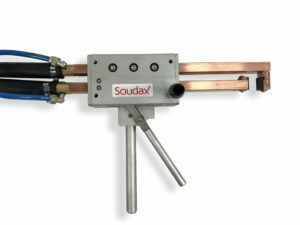 Soudax designs and manufactures standard mechanical brazing clamps, and can also offer custom-designed clamps to suit your operators’ habits and the dimensions of your workpieces. 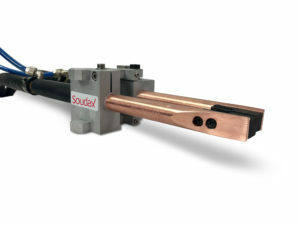 Our brazing clamps are cooled to ensure a longer service life and to guarantee high-quality brazing. Arm and cables cooled for longer clamp service life.